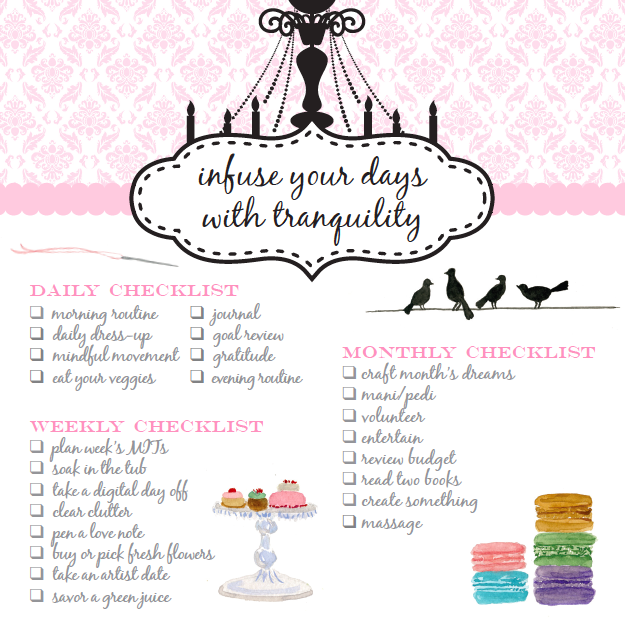 Tranquilologie is the study of living tranquility with joie de vivre. 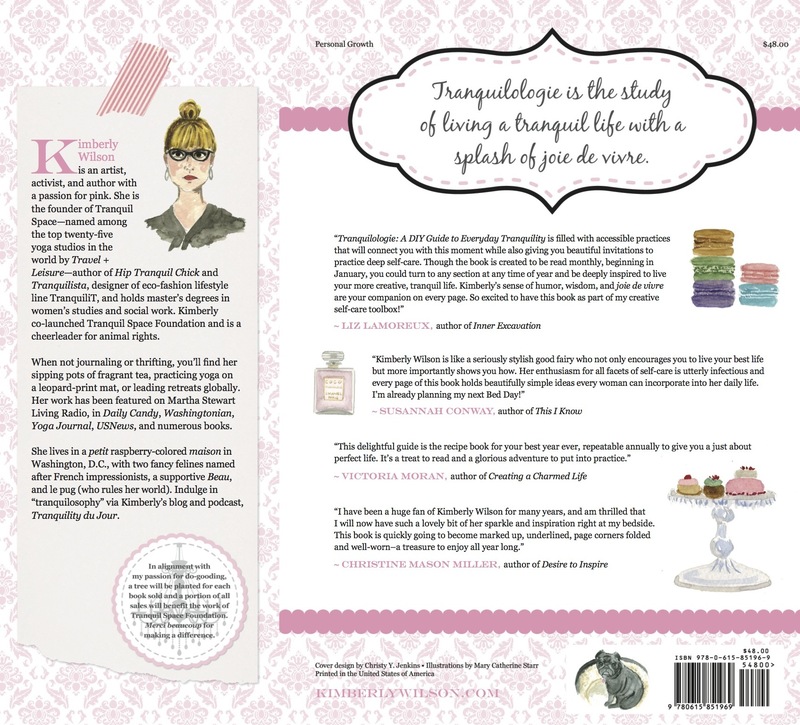 Formerly released as an e-course, Tranquilologie has been enhanced, revised, and turned into a full-color artsy softcover filled with even more inspiration. 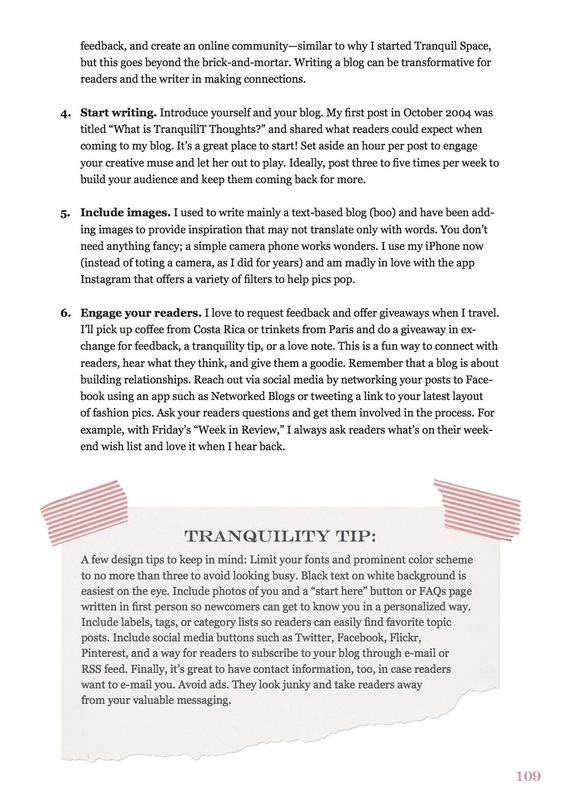 This do-it-yourself field guide takes you from January through December with doses of inspiration covering eight topics – mindfulness, self-care, nesting, do-gooding, work, style, creativity, dreams – in a nouveau way each month. Learn to create homemade gifts, get grounded in an instant, practice restorative, yin and vinyasa yoga, accessorize, craft your bucket list, start a women’s group, art journal, clear clutter, shop mindfully, and more. 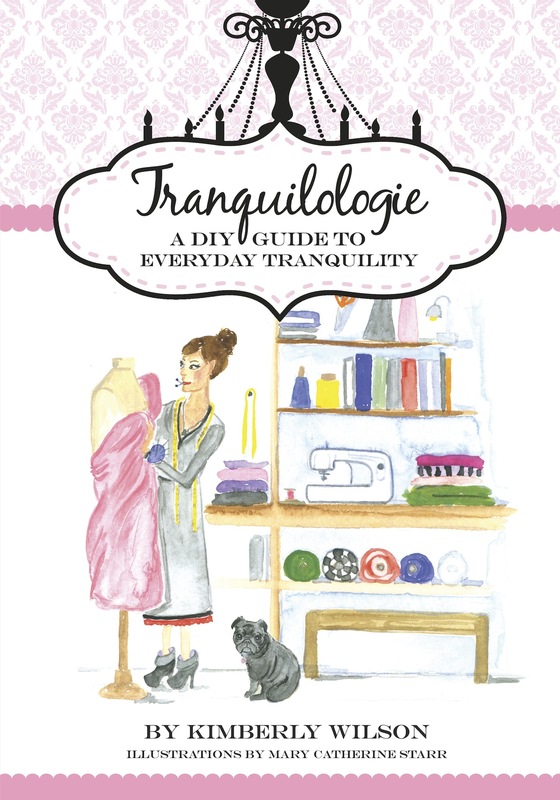 Tranquilologie involves being mindful in the moment, relishing simple pleasures, embracing minimalism, getting crafty, and creating extraordinary everyday experiences. 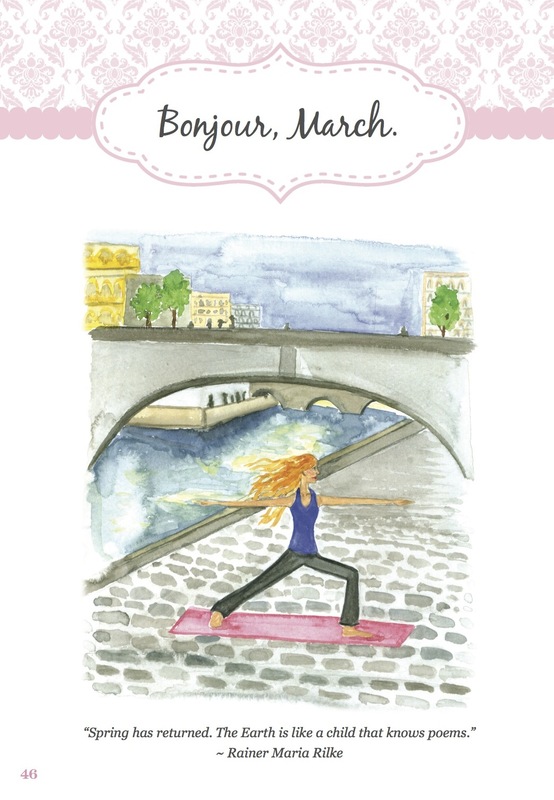 It’s about living with exuberance, passion, and tranquility–every day of the year. 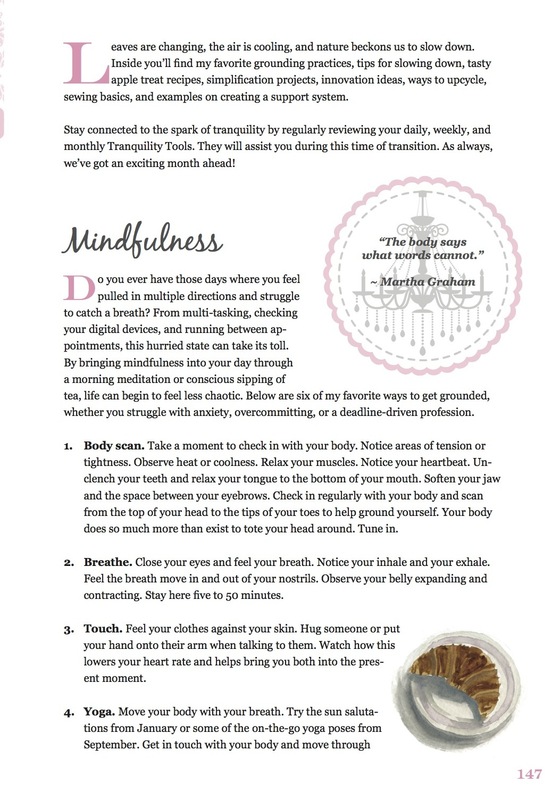 Inside each month’s feature you’ll find eight insightful essays including how-tos, “Savvy Sources” to inspire further exploration, signature “OMwork” to tie a bow around the month’s journey, inspiring quotes peppered throughout, and checklists to help you stay on the tranquility track. 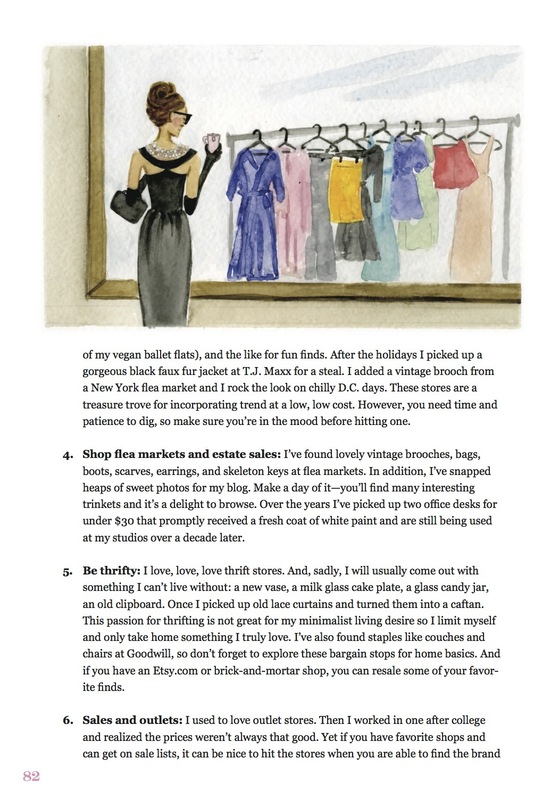 To enhance your visual journey, inside you’ll find full-color watercolors of my favorite things–flowers, tea cups, lavender, animals, pink bikes, yoga, cupcakes, books, and more–created by artist Mary Catherine Starr. 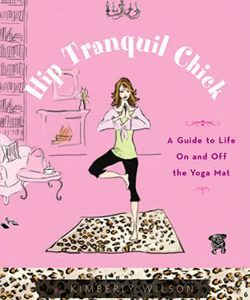 Keep this art-filled book on your bedside table next to a scented candle and a cup of tea (or flute of bubbly). 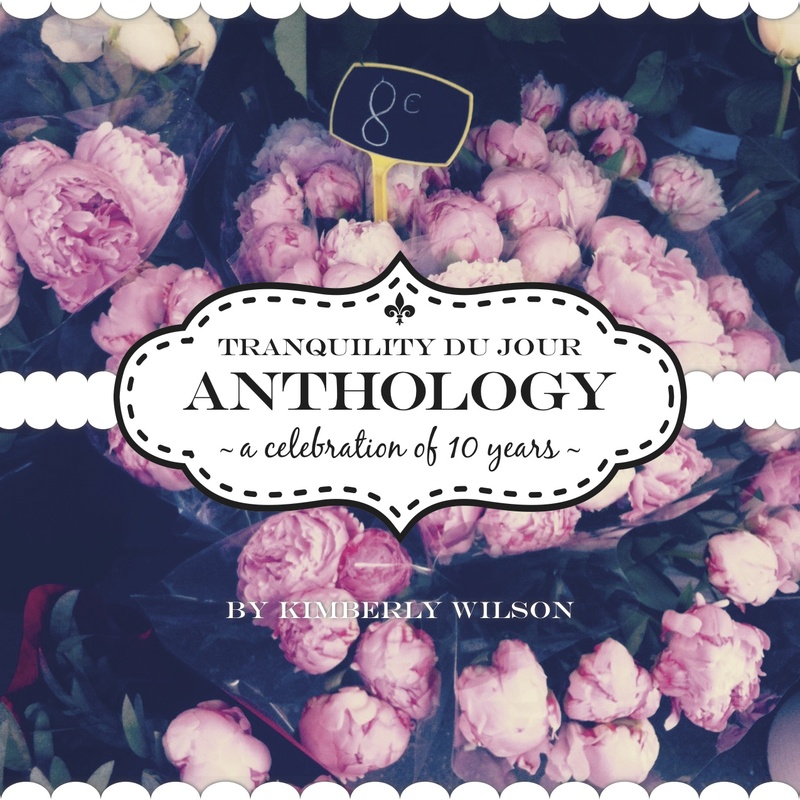 Use it in collaboration with your personalized Tranquility du Jour Daybook to truly live tranquility each and every day. 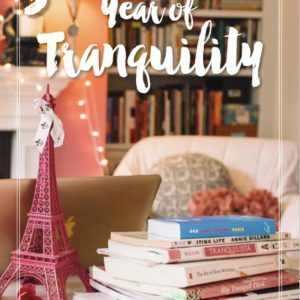 Read each chapter as the month begins or pick it up as the need for inspiration hits anywhere in between, ideally with jazz serenading in the background. The book is in PDF format which can be read on a variety of devices and computers. 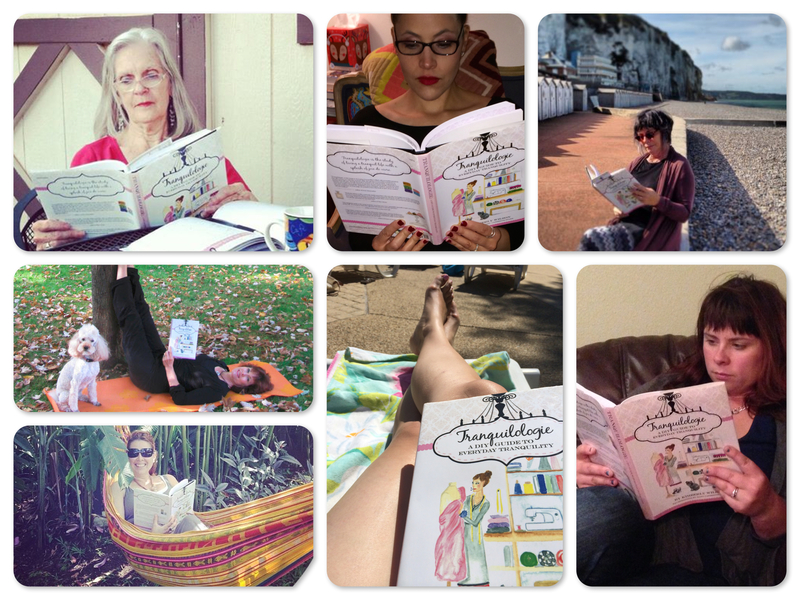 After purchase, you’ll be whisked to a page with the download link. Be sure to save this to your device or computer right away as that link expires in 72 hours! If you have any issues, please feel free to email us at ondemand@kimberlywilson.com.